“The Bible is not a factor in the formation of rabbinic law except as a front for what are man-made enactments and figments of rabbinic imagination.” Judaism Discovered, Chapter 5. “About the different fields of Torah study, our sages taught that they who occupy themselves with studying the Bible alone is not as good a way of study as they could have found. This is because the other fields of study are superior to it. It may be said about those who occupy themselves with studying Talmud, that there is no greater way of studying than this.” (Gemara portion of the Talmud). 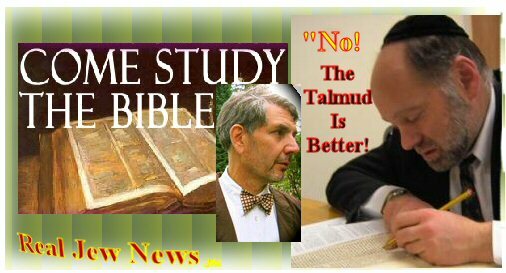 Hoffman then points out that not only do the rabbis claim a superior status of the Talmud over the Bible, but go even further, that they, the rabbis, are superior to God! “God sits and occupies Himself with the section of the Red Heifer and He cites a Halakha [Jewish Law] in the name of Rabbi Eliezer. He does this despite the astonishment of Moses, who cries, ‘Sovereign of the universe. Thou dost hold in Thy power the creatures of heaven and earth. Yet Thou dost cite a Halakha in the name of a human being!’” (Pesiqta de-R Kahana). “THE CLONING OF HUMAN & ANIMAL GENES is of the same piece with the contrivance of a ‘Judeo-Christian’ tradition,” Michael Hoffman writes in Chapter 9 of Judaism Discovered. “Judaism & Christianity,” Hoffman points out, “are contradictory bodies of belief and must not be conjoined in an alchemical mixture that we have witnessed these last few decades in the cauldron of modernistic Christianity. “The Church Fathers knew of no ‘Judeo-Christian’ tradition since Judaism as we know it today did not exist before Christ. Before Christ, there was only the faith of the Israelites, until by a gradual process, the pure faith of the Israelites was subverted by corrupt teachings. I Grew Up As A Jew & Rabbinic Judaism Left Me Cold. & Became Part Of The Brotherhood Of Man! Codified Judaism was not formed until after Jesus? Most people think that Christianity is essentially an offshoot of Judaism or a reform version of it when the exact opposite is true then. When did Judaism become wrighten law during or after Babylonian exile? How much influence did Jews have in the Roman Empire? Western Christian denominations have shown themselves to be weak in preserving to true meanings and teachings of Christianity. Why didn’t Christian leaders in the US in the early 20th century when Jewish communists where killing millions of Christians in Russia and Spain establish a council saying what is and is not Christian doctrine. Now western religious leaders are supporting the Global warming hoax that dates back to a 88 meeting in London and has nothing about saving the planet but depopulating it holding back industrial development in developing countries. The peace of Christ be with you. Thank you, again, for putting your light in a high place rather than under a bale. For all you zionist christian over there that believe in the big jewish lie(the chosen people)teory,Please read this articol http://www.telegraph.co.uk/news/worldnews/europe/russia/3072167/jewish-city-feared-by-Stalin-is-rediscovered.html If you don’t believe me read in your own Bible what God said about those so call jews.REVELATION 2;9,REVELATION 3;9 GOD call these people liars,God call them(The Synagogue of SATAN)why is that?God said they are not jews but do lie,i’m sure God knows everything. I think that this story is an excellent example of the crucial debate. Is Russia an emerging Christian Communism? That’s certainly what the author would lead us to conclude. Read the story, and you will find an unspoken question omitted from the article: Are they really banning South Park in Russia, or just on the 2×2 cartoon channel? If not, then the article is feeding us deliberate falsehood, because I don’t want that show on my kids cartoon channel either. It is an adult show. The author never makes it clear whether Russians can get cable, but somehow I think they can. What say you, James1, do Russian grown-ups still get to watch South Park if they want to without the FSB putting them in gulag? English version of russian newspaper Komsomolskaya Pravda, Komsomol Truth. The controversy is that it’s on a kids 24hour TV station. The tried to pass a law earlier in the year against the Simpson’s not to ban it but what time there aloud to show it on TV. The western media especially British like to put an anti-Russian spin on stories. The previous one was that Russia is being anti-Western because it wants to remove Halloween and Valentines Day. What the real story was that Russian Orthodox religious leaders in Russia wanted to remove Halloween as it is a Pagan holiday and replace Valentines day with a similar traditional Russian one. 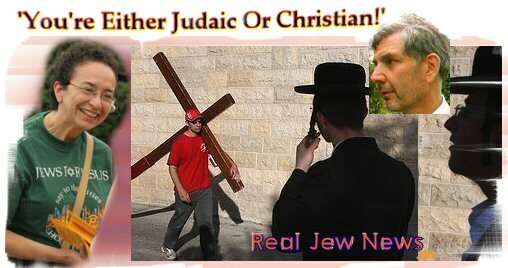 Jewish war criminals: John Sak is a jew: Jacob Berman. A doctor of philosophy, a man who wore tailored suits fit for Wall Street, he was the chief of the Office of State Security. In his custody from 60,000 to 80,000 Germans died. IMHO programs like South Park, The Simpsons, The Family Guy et al are all made and distributed with the express purpose of subverting the minds of our youth. I agree with the commenter above who stated that he doesn’t want his own kids to watch any of that crap. And good luck to Russia if they do manage to prevent the subversion of their children’s minds by the zionazi criminals who pump this crap out of hollywood as though it’s the zenith of western culture. Deacon : Why do you leave the ‘o’ out of God when yot write His Name ? I think you’ve been reading the talmud too much ! Christians have no need to adhere to such archaic traditions. The New Testament includes *all* letters when referring to Him… anything less is disrespectful. I think. Jews wont even SAY “God”, that’s why they write in that way. We LOVE God, and write it in full… with pride ! Please watch all 21 parts and you will find a lot of answers. I must mention about “The 45 Questions Most Frequently Asked About the Jews” reading, that has a Catholic & Protestant view ONLY so you might find a lot of errors, please be careful when you read and if you have questions, do not hesitate to ask. These videos are not by Michael Hoffman, but they cover what you ask for. Please forgive me if you have already watched them in the past. I hope they fit what you are looking for. thanks for posting the blasphemous talmud verses. this should wake up some folks. One must understand that in the final summation,those who claim to be “jews” but are not,are anti christs calling themselves the “savior” they have been awaiting. But it goes further in that their leader they seek to install, as chief priest of world religion and chief executive of world government,will be the main antt messiah,and he may not be “jewish”. That state they call “Israel” will be demolished,few “jews” surviving. When the main anti messiah takes his place it will probably culminate with the great exodus of mainly white christians world wide who fill fill up the new bounderies of the “new israel” which will be errected after this ww3.